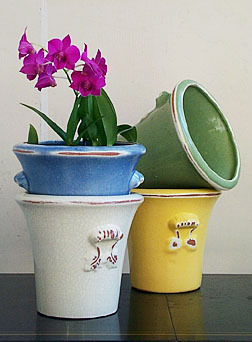 Let your freshly cut and potted orchids take center stage with these terra-cotta glazed pots from Italy. Transform the most simple arrangement into a thing of beauty, or conceal a plastic container to lend an air of elegance to any room. 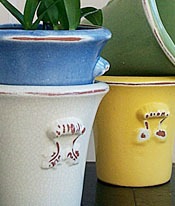 Choose four exquisite shades for your potted orchid collection. 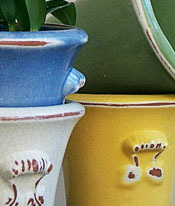 The pots are 6 inches tall and 4 inches wide.